Similarly, those who insist that present climate changes are the function of CO2-driven global warming place themselves in the same shameful box of anti-science. While the average of 49 AGW-model runs of the CMIP5 models used by the IPCC rises diagonally upwards from 1977 by around +1.0 °C in 2015 (i.e. today), the observational records remains fairly stable at about +0.2 °C today (Fig 2). This means a total mismatch between models and observations. In this position, is there on the whole any doubt what science must choose? – the observational facts, of course. 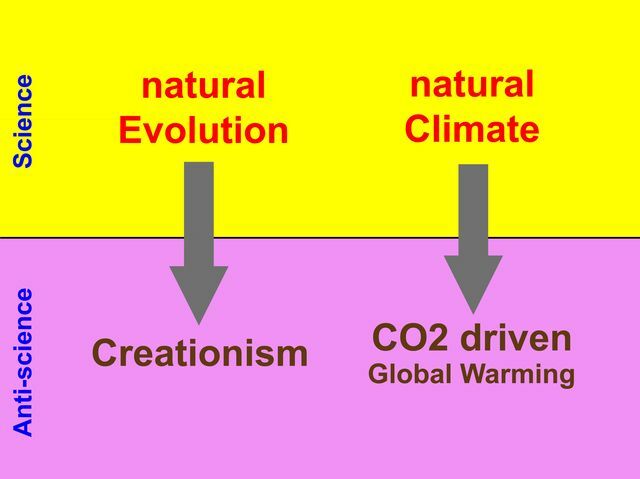 Like evolution, climate change is a natural process of our planetary environment. 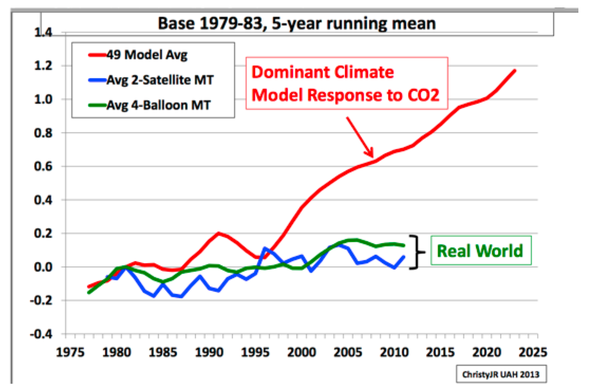 By tallbloke in Comment and analysis, IPCC, Statements on October 22, 2015 .